Our friendly staff are happy to help, you may ask for information regarding the vehicles service history, owners and condition, just phone us on 016 171 304 35. This vehicle is available to view immediately but it is important to contact us to arrange a potential viewing. Be quick and grab yourself a bargain as all vehicles are sold at auction house prices. www.papauctiongroup.com Use 016 171 304 35 for more information regarding this vehicle, or visit us at our auction house at Grape Mill, Holden Fold Lane, Royton, Oldham, OL2 5LW Remember, if you wish to view this vehicle it is very important that you contact us to book an appointment, to save disappointment and to ensure we have the correct members of staff in place to get you the best service possible. We have a "Viewing by appointment only policy" prior to live sale. 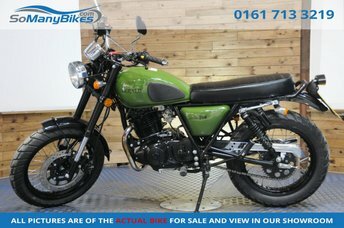 Get the best deal on a used Herald Motor CO bike for sale in Royton, Oldham by making your way to CarBay Limited today. You will find every available model listed here on the website, and as all our stock is competitively priced you should have no problem sourcing a pre-owned Herald Motor CO to suit your budget. Take the opportunity to browse our current range online before contacting a member of the showroom team to find out more. Our friendly and knowledgeable staff will be more than happy to answer any questions and provide advice and guidance when necessary. Alternatively, why not pay a visit to our showroom in person and take a closer look at the selection of used Herald Motor CO bike models for sale.